I’m a bit surprised Canary didn’t just go ahead and make the Flex its flagship. For starters, the camera is just a heck of a lot nicer looking than its predecessor, a white (or black) pill-shaped product with a glossy black frot and a glowing power ring on the bottom that brings nothing more to mind than HAL-9000, that ultimate bastion of home security. For the time being, however, the New York hardware startup is keeping its original model around. And, indeed, that first generation does offer some features not available on the new line, including temperature and air quality monitoring, maintaining that device’s position as sort of a central home hub – though, to be honest, those extras always felt more like the company’s attempt to distinguish itself from the competition, rather than necessary additions. At $200, the Flex is currently priced the same as the OG Canary, though as the name implies, it offers a certain level of additional freedom. That comes thanks to a combination of added portability and the ability to operate on battery power, meaning it’s not tethered to an outlet all the time – definitely a plus for those looking to push their operations between a single, central room. That titular flexibility is brought to the device courtesy of a beefy battery rated at “months” of life, in Canary’s estimation. 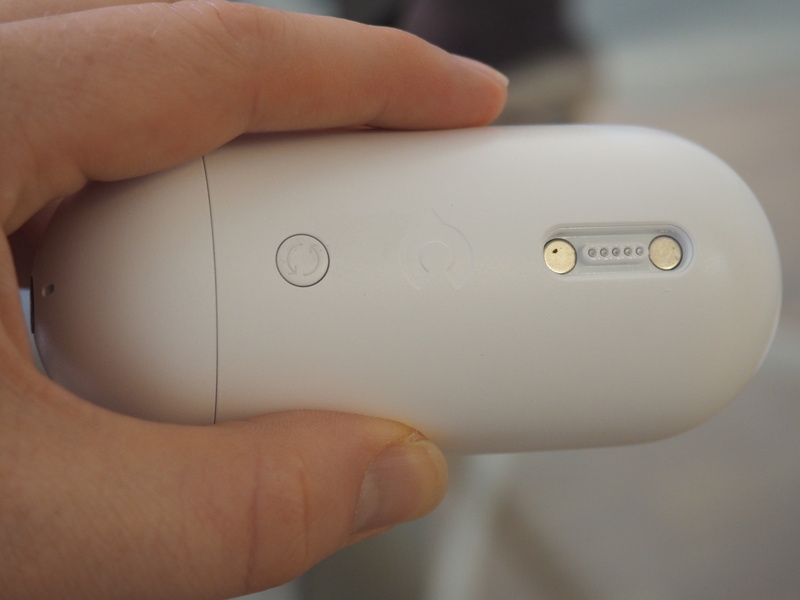 And when time comes to charge it up, it does so via a magnetic charging port, which helps with another key element of the new camera: weatherproofing. 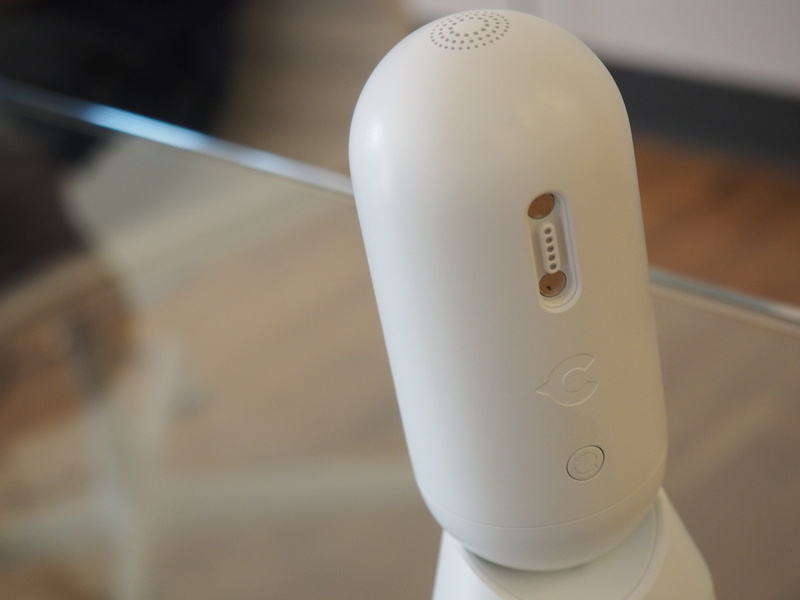 That means that the Flex can also be set up outdoors, transmitting what it captures up to the company’s cloud storage service via WiFi. 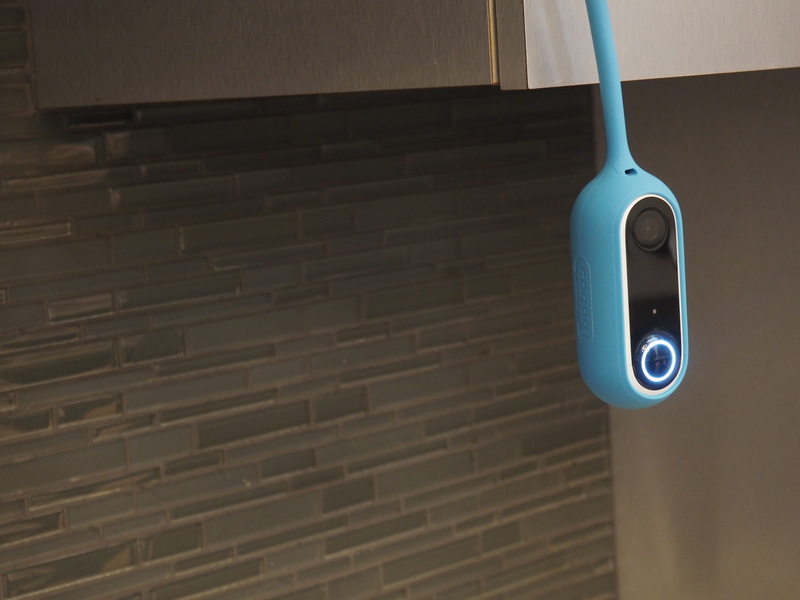 There’s also a magnet on the bottom of the camera, which snaps into a base, making it possible to manually swivel the camera 360-degrees, so it can be pointed in any direction. Beyond just the one in the box, the company got pretty creative with the different bases here, no doubt enjoy the newfound freedom of an untethered product. There’s a secure mount that screws into the side of a wall, keeping the Flex anchored and, hopefully, out of the reach of grabby masked bandits. A stake mount makes it possible to nail the camera into the ground, for patrolling backyards. The twist mount is the most fun/interesting of the bunch, a flexible, rubberized skin that can be wrapped around objects like pipes or tree branches or anything long and skinny, really. 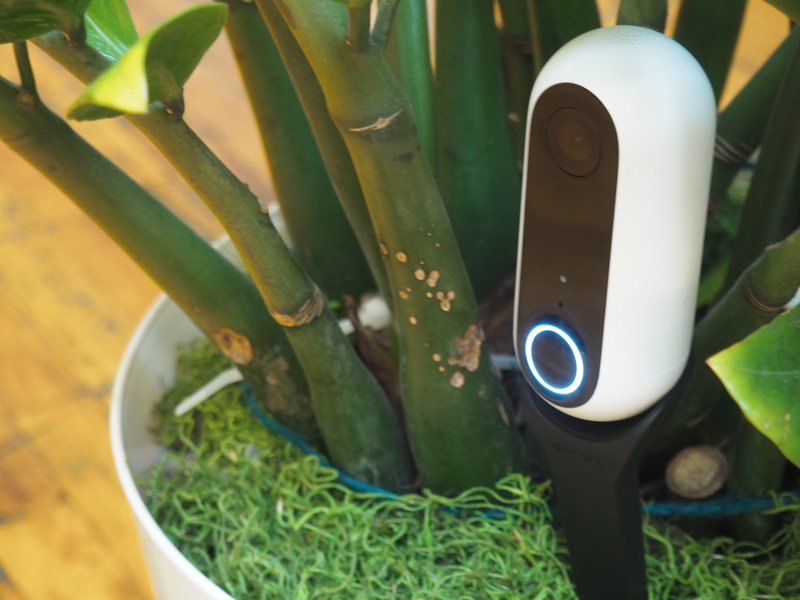 The company has also partnered with Verizon on a beefy LTE mount that brings added cellular service to the portable security camera, so it can be moved well beyond the walls of the house. Pricing on that accessory has yet to be announced. As for Canary’s new Membership security software package, that will run $10 a month for one device and $14 for two to three cameras. The service features 30 days of recordings, unlimited storage and downloads, along with a $1,000 deductible. The Flex is up now for pre-order. It’s set to ship before the holiday.